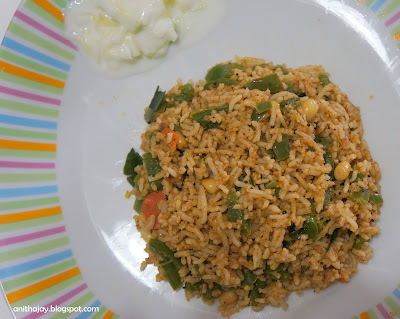 Its a simple and easy dish. I book marked this recipe in Sharmi's place long back. Dry roast the ingredients under "To grind and paste" and blend it in a blender as a powder. Heat oil in a pan , add mustard seeds and curry leaves. once splutter add capsicum and cook for 2 minutes. Add the grounded powder and saute for 2 minutes. Now add cooked rice,required salt and mix well. Flavourful and one pot meal..Inviting. 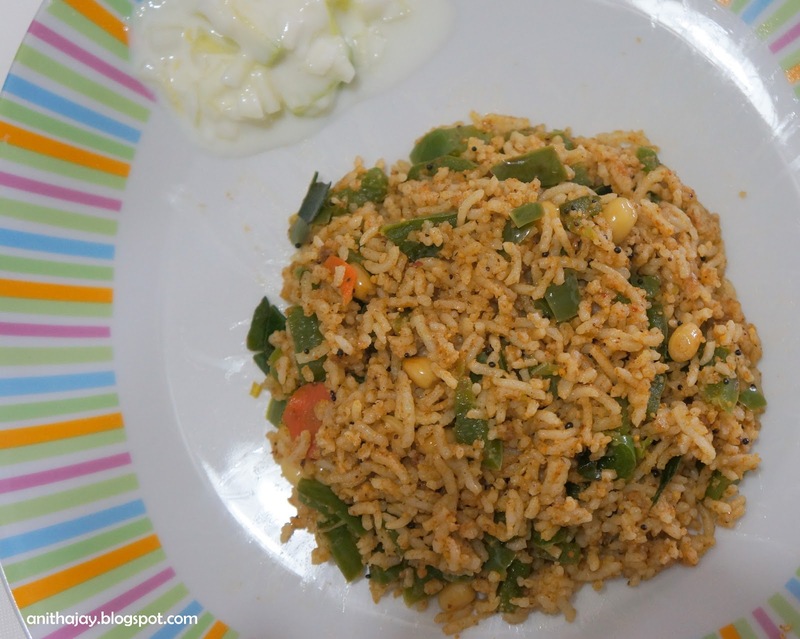 very innovative recipe dear..nice blog vth tasty recipes.catch me at my space.this is Maha.